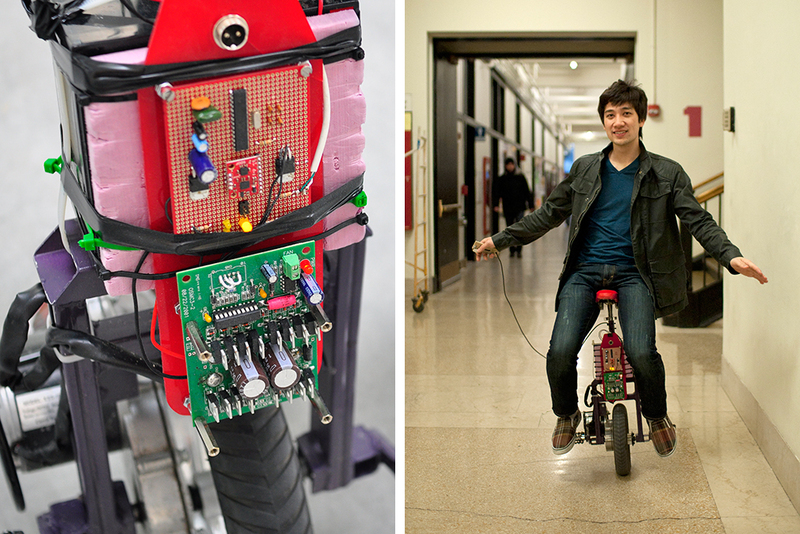 Tired of walking to the supermarket from his dorm, 21-year-old MIT computer science and electrical engineering student Stephan Boyer decided he needed a quicker way to travel. “I wanted a personal transporter that could get me around campus but be as small and light and fast as possible,” he says. 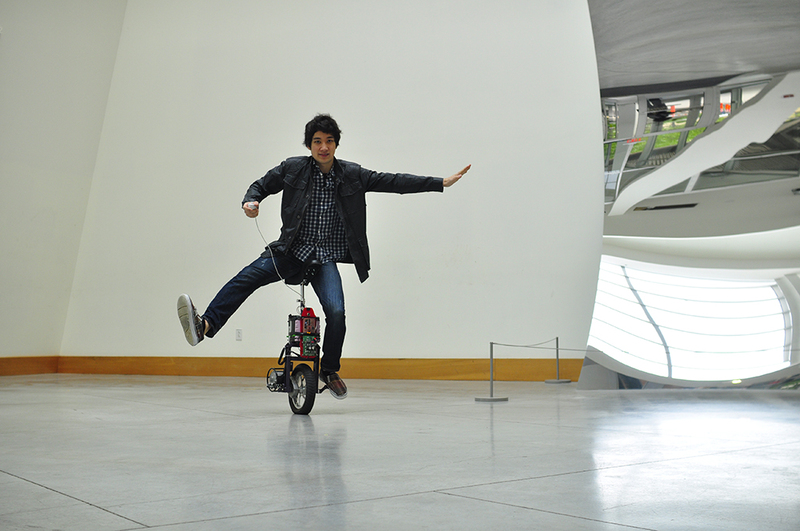 Five months later, Boyer had Bullet, a self-balancing electric unicycle that reaches a top speed of 15 miles per hour and is the envy of his peers. Boyer built Bullet with $1,000 and endless ingenuity. After teaching himself welding and some mechanical engineering, he got to work collecting materials: a basic fork to hold both a moped wheel and motor, welded-on pedals to provide foot support, and a top seat. “I didn’t really plan out the [entire design], so the battery and electronics are held on with zip ties,” he says. Bullet also features a kill switch for swift deactivation. He says the design could be built for $600. For balance, Bullet employs an onboard computer and two sensors: a gyro and an accelerometer. The former measures Bullet’s rotation speed and the latter determines its acceleration due to gravity. 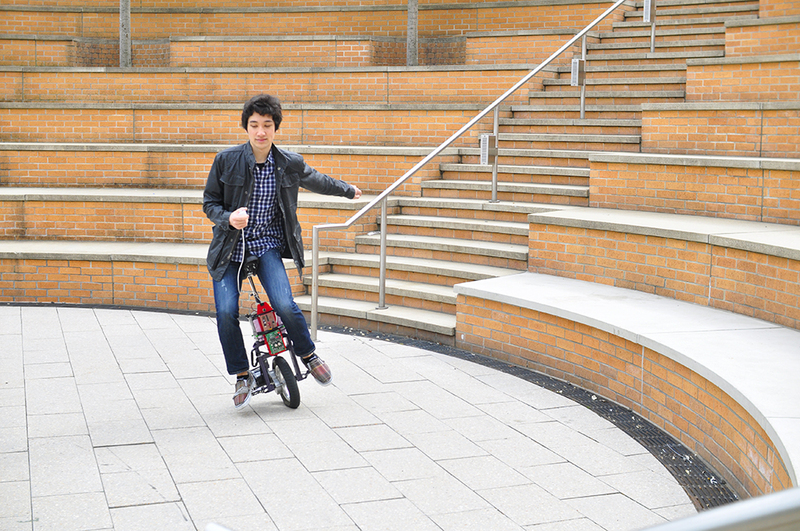 Using this data, the computer can detect the angle of the unicycle and prevent it from leaning too far forward or backward. The maker movement is making science exciting again. Forget the lame baking soda “volcanoes” and the zillion-dollar supercolliders — just as punk rock took music back from the supergroups and big studios, “punk scientists” are making inexpensive new tools to conduct real experiments in garages, schools, and hackerspaces. In MAKE Volume 31, you’ll learn how to make DIY laboratory equipment (even a scanning electron microscope! ), create high-voltage sparks from falling water, control a cockroach electronically, get started in biotech, and see how individuals and schools are networking their data for real scientific discoveries. Plus: Get started with multicopters or servo controllers, and build an automatic dog ball launcher, great-sounding speakers with flashing LEDs, a classic folding-wing Rocket Glider (a new MAKE kit), an iPad music desk, a levitating solar Mendocino Motor, and much more.